Creating a positive employer brand is the first step toward creating a positive customer brand, and an employee app for retail will set you on your way. 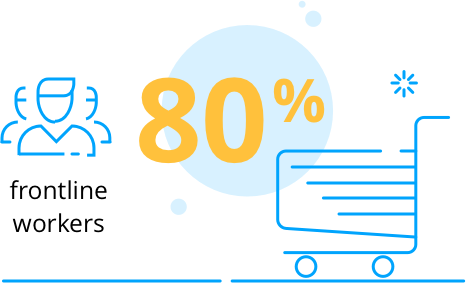 A mobile platform is the best way to reach the 80% of employees who don’t work at a desk, allowing you to share timely news and information such as weekly schedules and product updates. 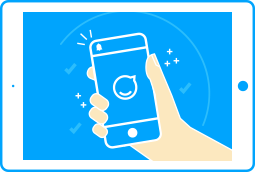 Your own branded retail employee app lets you reach your entire workforce—anytime and anywhere. In retail, shift plans and schedules are often in flux depending on days off, holidays, or even the weather. Being able to make adjustments spontaneously and immediately push them out to your employees saves time and effort. With frontline employees spending most of their time on the sales floor, opportunities for training and briefings are rare. 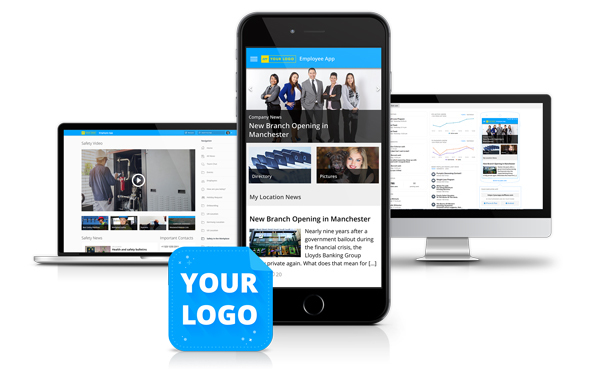 An employee app lets you upload important information about the next campaign, inform your employees about new products, and spread your brand promise. Your employees are in direct contact with your customers—and their morale directly affects customer experience. 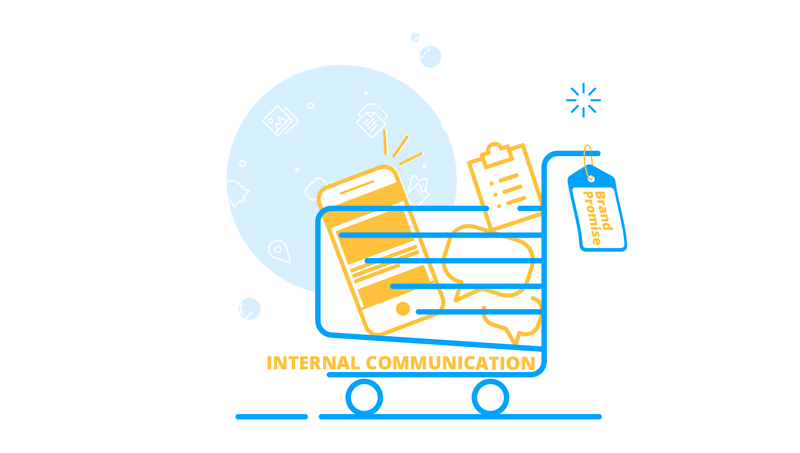 A employee app for retail helps you foster company culture, spread common values, and improve the character and atmosphere your stores. Creating a customer brand is what retail has always been about. It's a big reason why people return to a store again and again. But the same goes for your employees. Creating a positive employer brand is the first step toward creating a positive customer brand, and an employee app for retail will set you on your way. Use the personalized news feed to spread internal company information, keep everybody in the loop, and encourage your employees to share their experiences. Our internal chat platform lets your employees use a familiar communication tool which, unlike WhatsApp and other messengers, keeps your corporate information secure and your conversations private. Uploading all forms of media makes the app experience more versatile and fun. Use videos to teach your employees new skills, or share pictures to give the app greater social appeal. Names, phone numbers, email addresses, and other important employee contact information can all be stored in the app. Maps and locations settings help employees find their way around, whether they're looking for a delivery address, the sales conference venue, or just a good place to have lunch. Employee surveys are a great way to track employee happiness. Three basic emoticons help you to regularly gauge employee satisfaction. 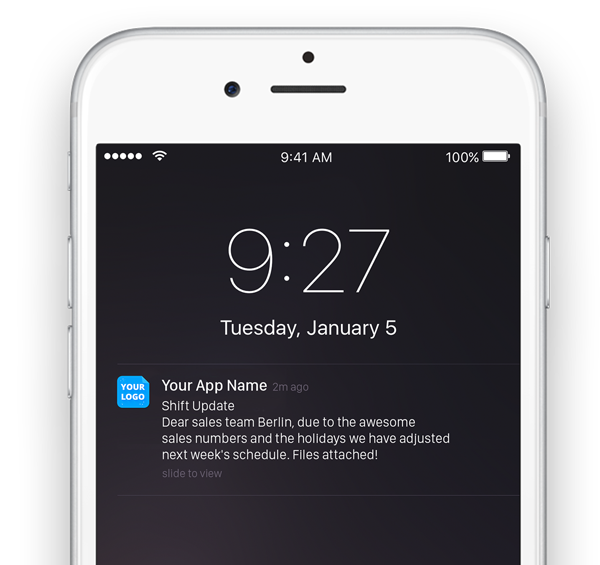 Push Notifications are a game changer in internal communication. They make it possible to send important information and ensure that it's seen immediately—anytime and everywhere. Because we're constantly working to improve your experience with us, we've developed plugins for calendars, event registration, embedded pages, Facebook integration, SurveyMonkey, and much more. Upload static information such as onboarding manuals and daily checklists, and create new pages to further organize your internal workflow. Prêt à vous lancer ? C’est gratuit ! Vous souhaitez plus d’articles comme celui-ci ? Inscrivez-vous pour obtenir des actualités liées à la communication interne digitale, nos études clients ou nos meilleures méthodes.